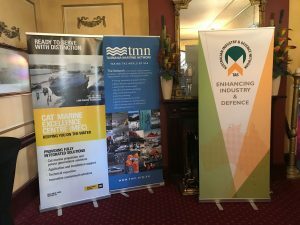 Over 40 guests attended a highly successful TMN / AIDN Networking event in Launceston on November 21. 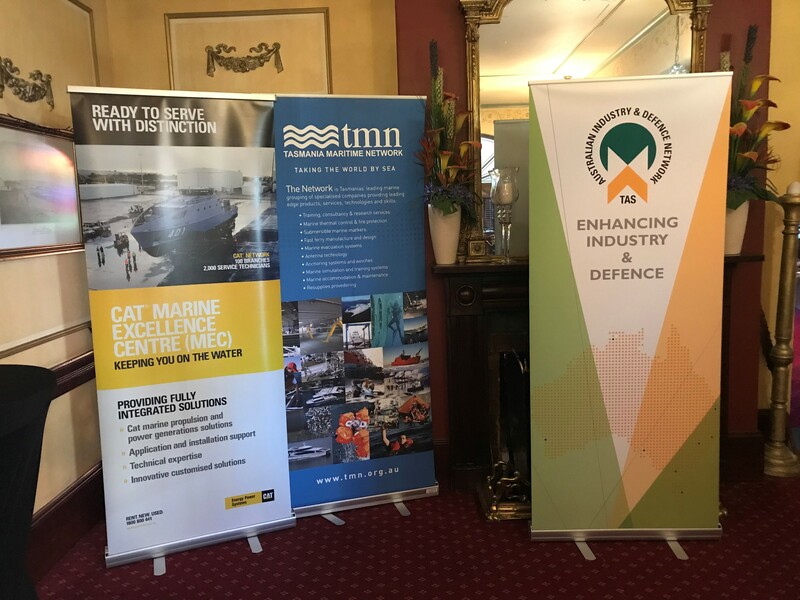 Sponsored by EPSA CAT Marine Excellence Centre Division , Blundstone Australia and supported by the Department of State Growth , the event allowed interstate guests attending the Defence Futures Forum the next day to meet TMN and AIDN members. Mr. Fred Bkamdin from EPSA came over from the Perth office for the event and took the time out to visit TMN Member Sean Richardson at the Southern Machine Ship Lift at Kings Pier. 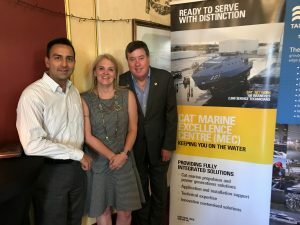 Fred an experienced Marine Engineer and head of Defence for EPSA, commented on the depth and breadth of marine and maritime capability he found over the two days meeting Tasmanian companies.